Bentong residents live in a caffeinated moment and if they say Leong Yew kopitiam serves the best cham, you shouldn't doubt them. Fuel your morning with a glistening thick coffee that stains the cup. Then have Hooi Kee's wantan mee for lunch: The star is the springy, eggy noodles while char siew slices and pork dumplings make up the supporting cast. Shaved ice is Bentong's point of pride and there's a friendly rivalry between ice cream shops Kow Po and TAK. Kow Po is famous among tourists but regulars know that TAK's homemade ABC and pandan ice cream are unrivalled. Jalan Chui Yin is throttled by traffic at night as hawkers set up shop at this wai sek kai (literally 'glutton street'). The char kuey teow, yong tau foo and economy bee hoon are not to be missed. What else to do in Bentong? A visit to the morning wet market is a must. The locals make the best tau fu pok - dare we say it - in the country. These fried beancurd puffs are pillowy soft, with little pockets of air that make each of them so light and chewy. The Chamang waterfall is just 10km from town and it's a river that cascades down a gully that feeds into a nature park. Drive another 20 minutes down south and you'll find a public hot spring, which soothes the muscles and cures ailments. Accomodation is limited in Bentong but the nearest one is Athome. Just five minutes from town, this newly open resort is evocative of a Balinese chalet, kitted out with a water wheel, exposed stone walls, wooden floors and repurposed furniture handpicked by the owner (also the architect). At night, kick back at the open-air bar or fire up the barbecue pit. If you're planning a family getaway, you'll like Tanah Aina Fareena's three-room bungalow by the river - one of Tanah Aina's four eco-tourism resorts that also provides guided jungle trekking to the waterfalls. Leong Yew 21, Jalan Chui Yin. Hooi Kee (inside Yuen Kee kopitiam), 57 Jalan Chui Yin (012 946 8406). Kow Po 2 Bentong Heights (09 222 1258). TAK 89 Jalan Chui Yin. Athome Lot 1057 Batu 2 ½, Jalan Karak (016 945 6217). From RM328 per room. Tanah Aina Fareena KM54.3 Karak Highway, Lentang, Karak (012 356 4717). Whole bungalow, RM1,500 per night for eight people. Includes breakfast, evening tea, guided jungle trekking tour and ASTRO. Additional beds are priced at RM100 per person, with a maximum of two additional beds. More well-known for its Sempalit groundnuts these days, former gold mining town Raub is wedged between the Titiwangsa Range and Benom Mountain Range – an idyllic location that attracts eco-resorts including Eight Acres and Laman Pesona. Family-run Eight Acres sits on an eight-acre land (hence the name) with a tall tualang tree as the landmark. The eco-friendly boutique lodge is built with recycled items and runs on hydroelectricity as well as solar energy. Rooms are zen-like; the spacious ‘Brick House’ bungalow has six themed rooms with reclaimed furniture as décor. Or stay in one of their ‘Nomad’ tents outdoors to get closer to nature. A walk around the meandering trails outside the lodge will lead you to vegetable gardens, a fish pond, durian trees, the Cascada waterfall and a pony ride. When the season is right, have a Musang King durian picnic overlooking the untouched forest. Laman Pesona Resort & Spa is less exclusive and more family-oriented, boasting 14 brick chalets on a hill slope with resort facilities such as a pool and on-site restaurants. Underneath all that gloss however, are natural attractions such as fishing pond, fruit orchard and a flowing Sungai Cheroh. Laman Pesona is also a 40-minute drive from Lata Lembik Recreation Park; the resort staff will gladly organise jungle trekking, abseiling, water rafting and rock climbing trips for you. Eight Acres Lot 7822, Mukim Gali off Jalan Sungai Klau (03 7877 5048/www.eightacres.net). Brick House, from RM240; Nomad tents, from RM170. Price per pax, including three meals for 2D/1N. Laman Pesona Resort & Spa Lot 3 & 4, Seksyen 4, Kampung Baru Cheroh (019 669 7604/lamanpesona.com.my). From 170 per chalet. The Shorea is a serene boutique eco-resort that’s located next to the lush Berembun Forest Reserve outside Seremban. A nature lover’s dream, the well-hidden property is mainly constructed using recycled shorea timber (hence its name) and comprises a double storey main house as well as a pair of private villas. Guests can capitalise on The Shorea’s close proximity to the forest reserve by embarking on nature walks, guided jungle treks and visits to the nearby Jeram Toi waterfall. If you prefer to appreciate the surrounding greenery from a distance, the resort offers an infinity pool, a plunge pool and sun decks with gorgeous views of the scenery. Staff at The Shorea are known for their personalised service – city-dwelling families and couples looking for a relaxing forest retreat will not be disappointed. Kampung Pantai, Jalan Jelebu, Seremban (017 338 5698/www.theshorea.com). Rooms from RM636 per night, inclusive of breakfast. 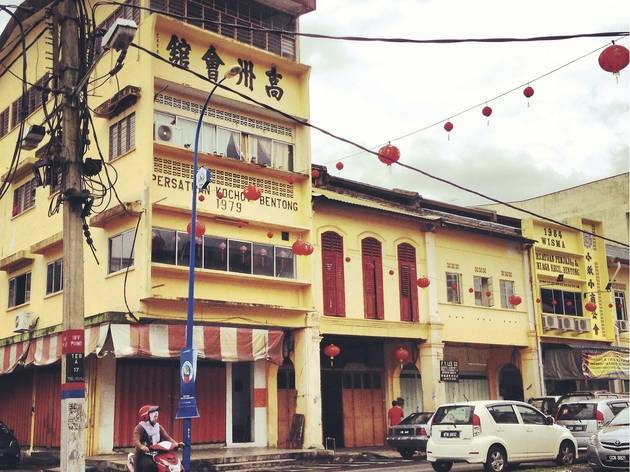 Take a break from Melaka’s tiny, congested roads and the usual food frenzy. 1810 Heritage House (formerly known as The Neem) has four chalets that were once the staff quarters of a Dutch coconut plantation in the last days of the Dutch colonial rule. The original structures had been greatly damaged over time but respectfully refurbished by the management of The Neem with recycled timber and salvaged roof tiles from a nearby Catholic church. It’s now a relaxing retreat surrounded by native trees – Neem, Ketapang, coconut, mango, frangipani, kelor and Ixora – and the four chalets are set around a private pool. The whole place is decked out in a blend of colonial respect and contemporary cool, great for a house party away from home or a couple of days of reading, card-playing and catching up. Food-wise they’ll provide breakfast, the rest of the meals you’re on your own – no great hardship in this food town. 117A Jalan Parameswara, Banda Hilir, Melaka (06 282 7826/1810heritage.com). From RM235++ per night. The latest addition to Sekeping’s growing stable of newly restored retreats is housed in an old neo-classical building in Ipoh old town, which is about two hours away from KL. The three-storey property retains most of its rustic charm – the sole addition is an extension to the back portion that opens up to a secluded courtyard and an elaborate staircase leading to The property’s prime location within the historical district of Ipoh gives you direct access to a plethora of quaint old-fashioned coffee shops in the area. 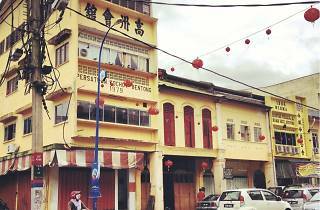 In fact, on the ground floor sits the bustling Ipoh Kong Heng Restaurant, so order a cup of its signature white coffee (There’s also the industrial-style Plan B outlet next door.) For local hawker fare, we prefer neighbouring Thean Chun, which has been consistently serving excellent Ipoh-style chicken hor fun and tender pork satay for over half a century. If gourmet burgers and pastries are more to your liking, shophouse-turned-hip café Burps & Giggles is located just around the corner on the street behind Kong Heng. Sekeping Kong Heng and Ipoh Kong Heng Restaurant 75 Jalan Panglima (05 241 8977/www.sekeping.com/kongheng). Rooms from RM800 per night. Thean Chun 73 Jalan Bandar Timah (05 255 3076). Burps & Giggles 93 & 95, Jalan Sultan Yussuf (05 242 6188). Mon-Fri, 10am-7pm; Sat and Sun, 8.30am-8.30pm.